Perhaps one the better kept secrets of the local scene, How Machines Work were inactive more often than not over their 10 year existence. Originally coming together as Anomie in 1996 the band consisted of three Bulli High School mates (Justin Roberts (guitar/vocals), Chris Rojas (guitar) and Jeb Taylor (drums)), recruiting Simon Dalla Pozza (bass) from a neighbouring school. Clicking immediately, the band set about getting some local gigs and scored their first show at Wollongong Youth Centre alongside Stumblin' Jesus Mosquito (aka Tumbleweed). A number of youth centre and all ages shows followed over the next six months. Refusing to accept age as a barrier, the four entered the North Gong Hotel band competition in 1997, despite not yet being old enough to buy a beer. Anomie won their heat and took on shows at the Cabbage Patch, Oxford and North Gong before returning for the finals, going up against The Merkins and Mudlungs. Finishing second (Mudlungs got top prize) the band were then mentored by Mudlungs and Dettol, who each gave the band support slots wherever possible. 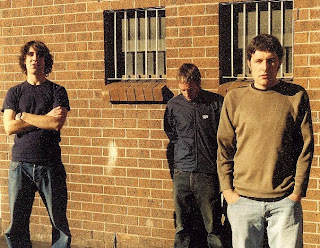 In late 1997 the band changed their name to Ventolin and entered the studio in early 1998 for the first time. The result, an EP titled Anomie, was recorded at Powerhouse Studios and featured Mick Boyle of Mudlungs on additional vocals. The artwork was provided by Simon's older brother Mark Dalla Pozza. The EP demonstrated a heavy rock edge which would draw comparisons to early Shihad and a bottom-end not unlike that of Tool. By now two of the members were attending University of Wollongong, making the band eligible to enter the Uni band comp. Up against Dropping Honey, Phial and Pancake Day, Ventolin won the final and were soon heading to the state finals where they finished second. This success lead to support shows with The Fauves, Midget, The Mark of Cain and Big Heavy Stuff. 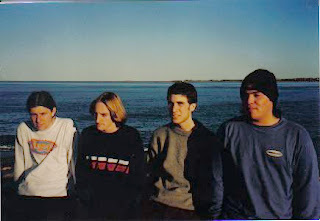 With some money saved from the band comp wins and regular gigs, the band re-entered the studio with Dave Trump in late 1998 to record their follow-up EP. Although the recordings were finished and mastered, the band soon split leaving the EP to gather dust at the back of a cupboard. Roberts went onto form Gravitron, and Dalla Pozza joined Monstrous Blues, while Rojas continued to play in Shanghai - a band he joined during his time in Ventolin. Taylor went onto managing bands and forming the highly successful High Beam Music label. 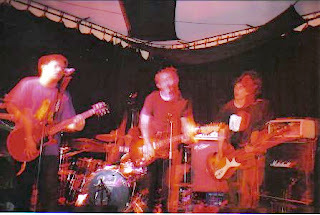 At a chance meeting of Roberts, Dalla Pozza and Taylor in 2003, the trio arranged a few jams for old times' sake and a new set of songs were quickly written. Renamed How Machines Work, the band dragged the previously unreleased recordings out of the cupboard and released them as an EP in the hope of securing gigs. The title track 'Pilot Error' was instantly picked up by Triple J and suddenly the band were in unexpected demand. 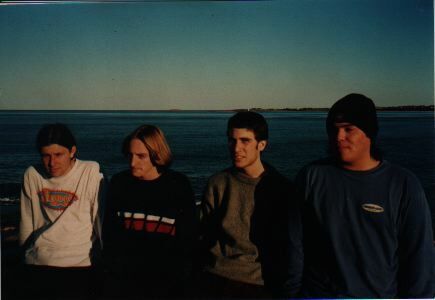 The EP showed significant growth since the Anomie recordings, with a stronger emphasis on melody drawing comparisons to Big Heavy Stuff and Even. Plans to get Rojas back on board were made but unfortunately never materialised and HMW soon returned to the studio to record an EP of new material. Address in White was released in 2004 and again showed significant maturity in the songwriting. By this time Roberts was living in Victoria making it difficult to for the band to rehearse and gig. Given this logistical problem, the band only played handful of shows before calling it quits again in 2005. In 2004, Taylor and Dalla Pozza established the Music Farmers retail shop and Trans Electric Records. Dalla Pozza has since relocated to London where he works as a graphic designer. Taylor continues to work in music as co-owner of Impedance Records and Various Industries. Roberts remains in regional Victoria where he also works as a graphic designer, and Rojas has again been spotted playing in the re-united Shanghai. Thanks to Jeb Taylor for his assistance in piecing this article together. Wow! Remembered this band (more specifically the song Pilot Error)today at work very randomly. Thanks heaps for posting their music - absolutely loving it. And great to hear Pilot Error again!